We welcome you to our first Newsletter for 2018. Our focus in this edition is the Budget Speech by our Ex-Finance Minister, Dr. Malusi Gigaba, which was held on 22 February 2018. His maiden presentation was a reflection of a tough balancing act in a tough economic environment. Please find a summary of the key points of the Minister’s speech further below. We have also included information for you across the board regarding insurance, immigration, tax and other related topics. 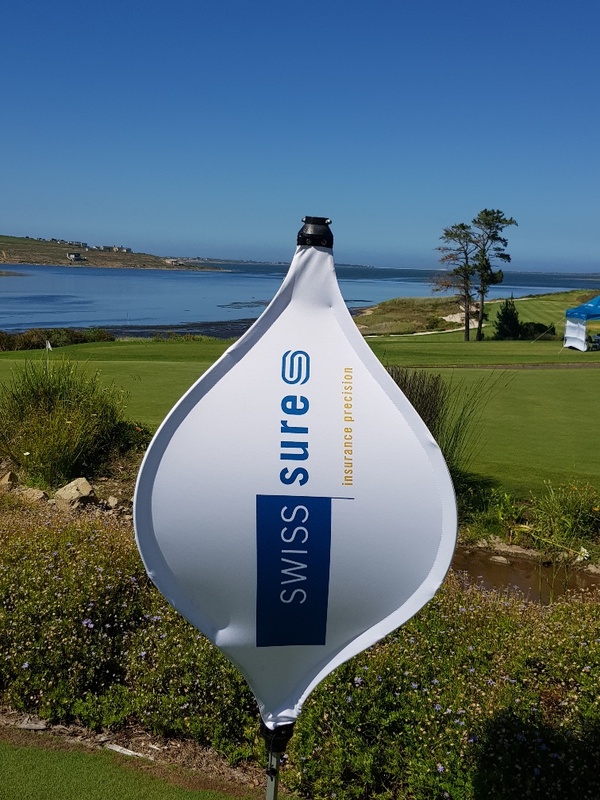 As usual, this newsletter can be viewed under http://www.swissfin.co.za/en/newsletters/swissfin-swisssure-newsletter-march-2018/. Water shortage and commercial losses – can I insure this? I want to let via Air BnB – what about my insurance cover? PR submissions abroad – we need your receipt! Officials in Zurich reported a three-fold rise in the number of tax evaders voluntarily turning themselves in during 2017, as international regulations requiring Swiss banks to share details of offshore clients takes effect. In 2014, Switzerland signed up to the Organisation for Economic Cooperation and Development’s (OECD) Automatic Exchange of Information (AEOI) programme. Under the agreement, Swiss banks are required to share the financial information of offshore clients with more than 100 countries. In anticipation of the information sharing, newswire Reuters reported that 6150 taxpayers from Zurich, the country’s largest and wealthiest canton, have voluntarily revealed previously undisclosed assets, totalling CHF 104 Mio. in 2017. As the old Swiss practice of secrecy continues to erode under the new agreements, some bankers show a sigh of relief. One of the reasons is that the banks receive heavy fines; secondly bank employees can be prosecuted if they are found to have been negligent or assisting clients in hiding undisclosed funds. In the first time since 1993, the VAT rate has been increased from 14% to 15% with effect from 1 April 2018, generating additional revenue of R 23 Bio. Massive cuts in government spending will result in a saving of R 85 Bio. over the next 3 years. Fuel will increase by 52 cents per litre as from 4th April 2018. Alcoholic drinks will increase between 6% and 10%, creating additional revenue of R 1,3 Bio. Tobacco products will increase by 8.5%. The ad valorem excise duty (“luxus tax”) on motor cars will increase from 25% to 30%. R 6,0 Bio. has been set aside for drought-relief for the Western, Eastern and Northern Cape. The nuclear deal is off the table as there is sufficient supply in the country. The land reform program is going ahead and R 15 Bio. has been allocated. Outgoing president Zuma’s promise for free education will be implemented. Free higher education will be phased in to accommodate students from poor and working class families. R 57 Bio. will be allocated to this initiative. Social grants are increasing by 6.6%. Estate duty has been increased from 20% to 25% for estates larger than R 30 Mio. Donations tax will see the same increase as the Estate Duty for donations larger than R 30 Mio. Both increases will be effective from 1 March 2018. A reform plan for state-owned entities (SOEs) will be introduced. Non-core assets will be sold and equity partners shall assist with the restructuring. The new income brackets will generate an additional R 13 Bio. There is widespread optimism that the budget will assist in escaping a further downgrade by the rating agency Moody’s, which review is due at the end of March. The countries’ economic situation has improved since the medium-term budget statement in October, including growth of almost R 3 Bio. in revenue collection. The economy is already growing faster and is projected to grow 1.5% in 2018. Combined with the optimism that President Cyril Ramaphosa has spread at the State of the Nation Address, there is certainly renewed hope and the long-awaited change at the horizon for South Africans. 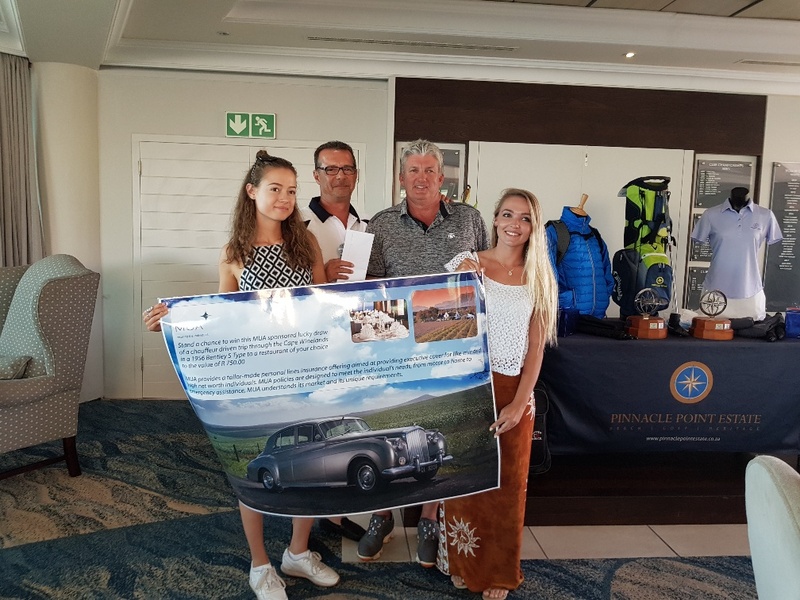 Vantage Insurance Acceptances and Oakhurst Insurance have come together with classic car cover, announced at the George Old Car Show, driven by Oakhurst Insurance Company. Over 13 000 local and international guests flock to the event annually. This year marked its 22nd edition. Steered by their specialist motor insurance expert, Adriaan Louw, Vantage have provided the industry with comprehensive cover for executive, collectible and classic cars for the past nine years. “We are fellow classic car enthusiasts and members of numerous respected car clubs around the country and we belong to specialist networks of classic car advisers who understand the history behind each car and can therefore value and repair them correctly. We have a thorough understanding of our client’s specialist needs and develop bespoke products, such as Classic Car Cover,” adds Louw. All insurance companies offer a car hire option should the policyholder’s vehicle be stolen or involved in an accident and at the panel beaters for repairs. Renasa is now offering a wider selection of car hire options based on the requirements of their clients. To this Renasa now also offers more extended periods of car hire, up to 60 days. More descriptive names when selecting car hire has also been introduced to achieve more clarity. Clients can now use the MUA Concierge service to be dropped off or picked up from your nearest airport – for a total of 6 trips per year. This is in addition to the 12 drive-me-home trips you already enjoy under the MUA Concierge benefit. Trips can be booked via MUA’s contact centre (0861 000 682) and must be arranged 48 hours prior to the flight. The service will be available between 04:00 and 22:00 daily, within a 50km radius of city centres in Johannesburg, Pretoria, Durban, Cape Town, Nelspruit, Polokwane, Kimberley, Port Elizabeth, East London, George, Bloemfontein and Pietermaritzburg. Pre-bookings for public holidays need to be made before 17:00 on the day before the public holiday. If you don’t currently enjoy this benefit, please consider adding this to your policy as soon as possible at a cost of only R 60 p.m. Existing clients that have already selected the MUA Concierge service will automatically enjoy the enhanced benefits with immediate effect – as well as all new clients that opt for the service. Please note that the MUA Road Assist programme does not include any of these driver services – it is exclusively available under the MUA Concierge benefit. For more information, please contact our short-term insurance department. We have been inundated by our commercial policy holders, mostly guesthouses and hotels, as they are experiencing booking cancellations due to the water crises in the Western Cape. A commercial policy offers cover under the business interruption section, with the extension “public utilities”, which is water and electricity supply. The extension only gets triggered if it was an insured event under the fire, buildings combined or office contents section. These events are normally fire, explosion, lightening, storm, wind etc. However, if the taps get turned off by the municipality, there is no insurance cover, as it does not fall within the definition of insured events above. We have consulted with all insurance companies and unfortunately this consequential loss remains an uninsurable event. The increased popularity of this platform has tempted many homeowners to let their property. If you do so, you cannot automatically assume that your insurance cover is still in place, as you are conducting a commercial activity. Most domestic policies exclude any commercial activities and hence you have no insurance cover! You need to inform us so that we can discuss the cover options with your current insurance company. If they cannot provide the required cover, we will have to cancel your domestic policy and issue a commercial policy, which is normally more expensive. It is an insurance policy that is specifically designed for residents living on golf estates. Our office has developed the policy and it is a Trademark registered with CIPRO. The policy benefits are unprecedented and unique to the South African insurance market. 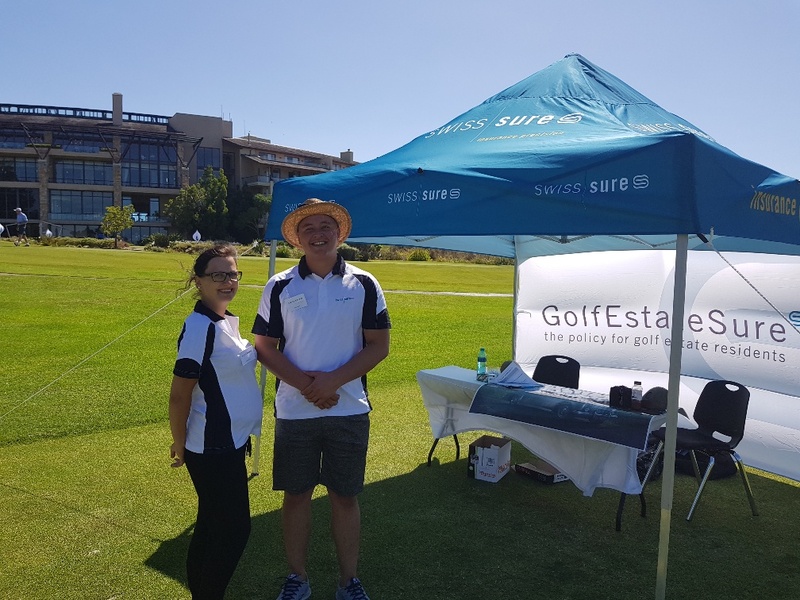 Over and above those benefits, the premium rates have been aligned to take the risk and lifestyle of residents on golf estates into consideration. The average premium saving is approx. 20% compared to conventional policies. The insurer has launched an app which can be downloaded on mobile phones. Swiftcare is the emergency contact point in the event of a car accident etc. According to reports, an estimated 175’000 laptops get stolen at the 8 largest airport in the world. This figure does not even include USB sticks, computer tablets etc. The loss of the hardware is replaceable, but data is often not backed up and lost forever. For travelling business men, it is important to make sure that thieves cannot achieve access into sensitive company data. Such data should ideally be kept separate from the laptop when travelling. Please take note, that some countries, especially those with autocratic regimes, can force you to disclose passwords. Failure to do so can lead to investigation and arrest. Please inform yourself about the list of countries under https://en.wikipedia.org/wiki/Key_disclosure_law that could possibly force you to disclose material information. Also bear in mind that the theft of your laptop is not automatically covered under household goods section, and you need to take out “all risk cover” on a domestic policy or “electronic equipment” on a commercial policy. Please note that all monthly policies will automatically be adjusted as from 1 April 2018 to reflect the new VAT rate of 15%. Annual policies will only be amended at renewal. Home Affairs Director of Asylum Seeker Management Mandla Madumisa and Advocate Maemo Machete were addressing a two-day hearing last November by the SA Human Rights Commission (SAHRC) in Johannesburg. The hearing is into the causes and effects of xenophobia on South Africans and immigrants. The Department of Home Affairs says most refugee status appeals are not from people fleeing war torn countries for safety, but 76% are made by young males seeking better economic opportunities. The current rejection rate stands at 96% and with high level of corruption at the refugees centre, one wonders how the Department will ever reduce this backlog. On top of this, the Department is currently not capable to issue visitor’s extensions correctly. We currently see at least 50% of these applications coming back with the wrong extension dates, causing frustrations for everybody involved. And to further add insult, the issuing of Permanent Residence permits has also taken a step back. We currently see applications that are by now 3 years old being processed, and no signs of improvement. The Department displays an extremely arrogant attitude by not answering e-mails and applications are adjudicated consistently incorrectly. We all hope that the new Government will take a clean sweep through this Department, before it becomes “the Department of Hopeless Affairs”. Most PR applications may no longer be submitted in South Africa, but abroad at the nearest South African Embassy, Consulate or High Commission. The foreign offices are supposed to include the receipt for payment of the government fees, when sending the application documents to Pretoria for processing. Unfortunately some foreign offices omit to include the receipt, which causes unnecessary delays of the application in Pretoria. We will be addressing all our clients individually in the coming weeks to obtain the receipt if we do not have it on file. Should you not have received a receipt from the foreign Mission, please contact them and ask for proof that you have submitted your application. – The requirement for borehole water to be metered if it is to be disposed of via the City’s sewers. Mr. Welz has put an interesting in-depth commentary together, which can be viewed by clicking on this link. 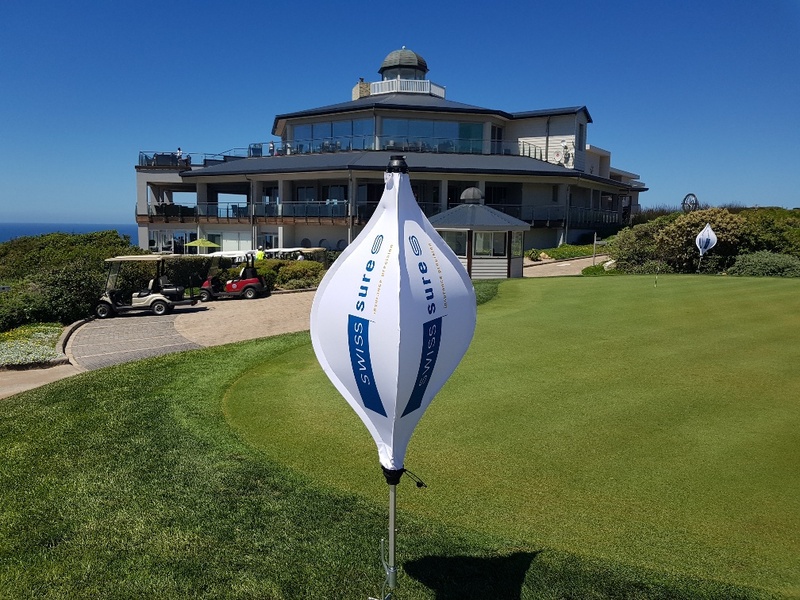 At the beginning of January, we were invited to sponsor the club championships at Pinnacle Point Golf Estate in Mosselbay. First prize was the famous Bentley Drive, which was sponsored by MUA Insurance. The lucky winner of the prize was Mr. Ian Gallacher. 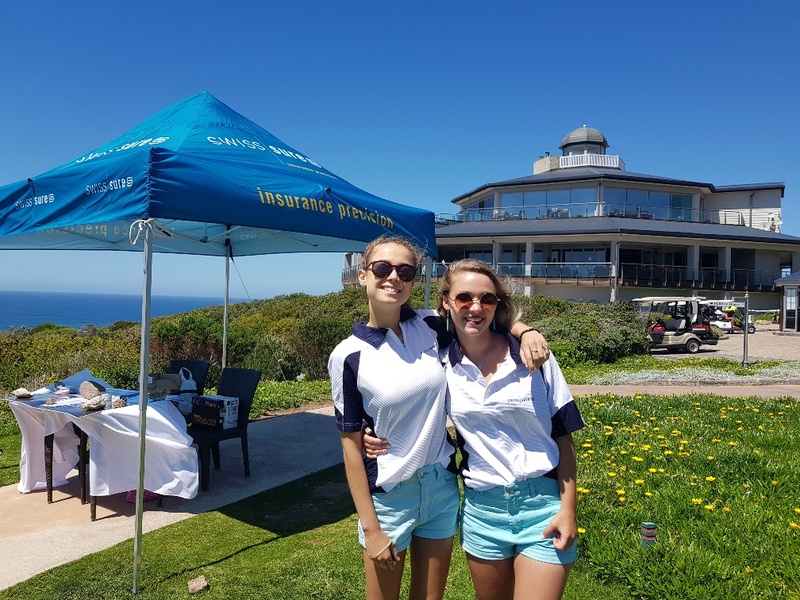 On the 13th of January, we hosted the Captain’s Day at Arabella Golf Estate, near Kleinmond. It seems to have been the 14th year in succession, since we started supporting this golf day. It was nice to see that Mr Kevin Sutcliffe, a long standing member at Arabella, walked away with the Bentley lucky draw voucher. Congratulations! And last but not least, the group of Swiss / European golfers were kitted out with our golf shirts. 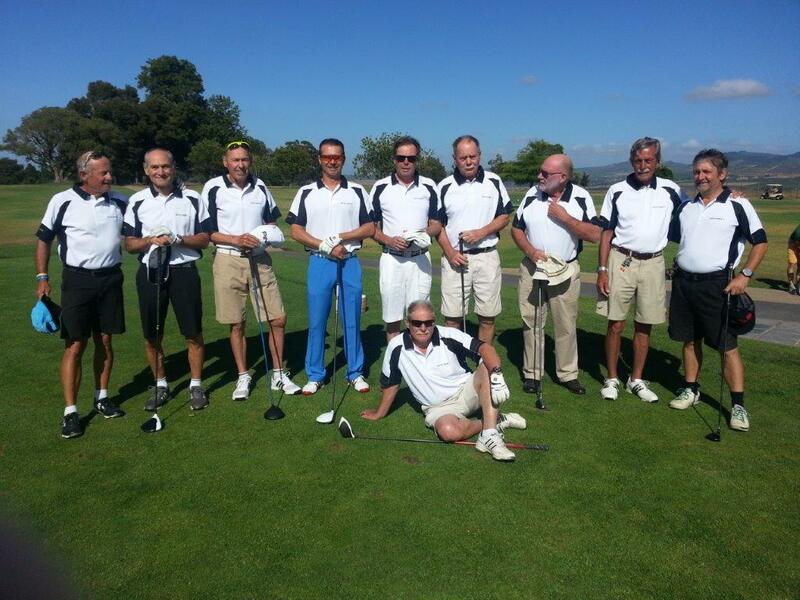 They play regularly on a Thursday morning at Stellenbosch Golf Course and they all look handsome in the SwissSure shirts!